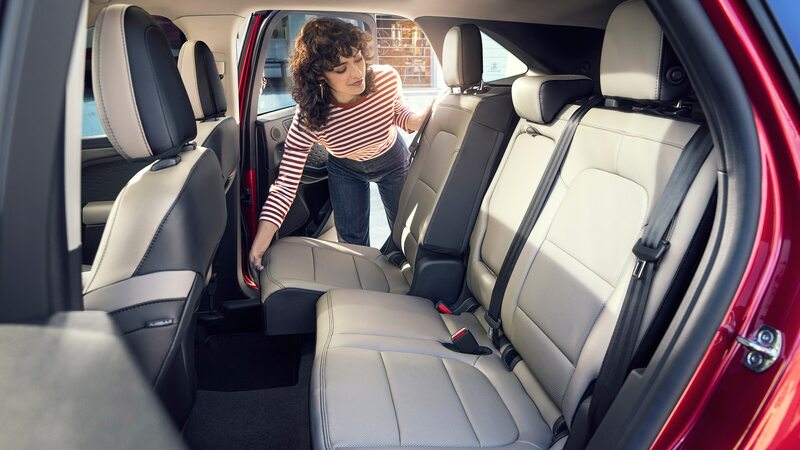 The world was introduced to the 2020 Ford Escape by young people dancing and singing and being generally geeked about a thoroughly redesigned compact crossover SUV (you can see a Ford-produced video of the event near the bottom of this post). The highly produced show at The Henry Ford Greenfield Village museum was packed with the fresh, clean-cut, and fleetingly hip millennials Ford hopes will buy even more Escapes as they keep its red-hot segment at the top of the automotive market. This will be no easy task. 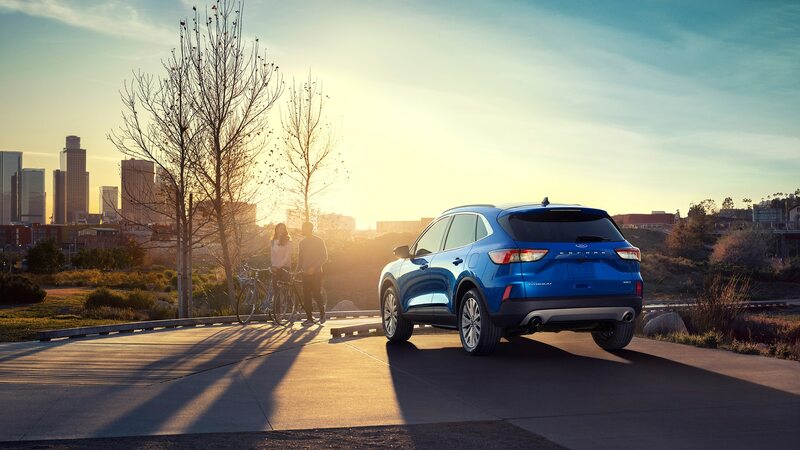 While the Escape came close to challenging the Toyota RAV4 for the top spot in the last decade, before compact SUVs passed midsize sedans to dominate the U.S. market, in 2018 the Ford Escape was fifth among its peers. It was the only model of the top five to suffer a sales decrease (-11.7 percent) compared with 2017. Ford sold 272,282 Escapes last year, compared with the top-selling Toyota RAV4’s 427,170 (+4.8 percent). The Chevrolet Equinox, fourth place in the segment, outsold the Escape by more than 60,000 units last year. Still, the Escape remains Ford’s second bestseller, after the F-series pickups. 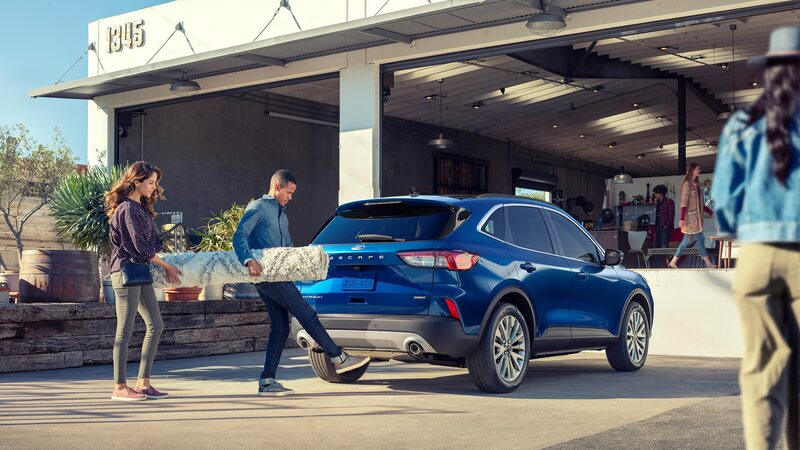 The automaker’s new strategy is to make the 2020 model more carlike, and its new proportions suggest a raised hatchback/wagon in the mold of the smaller Subaru Crosstrek. 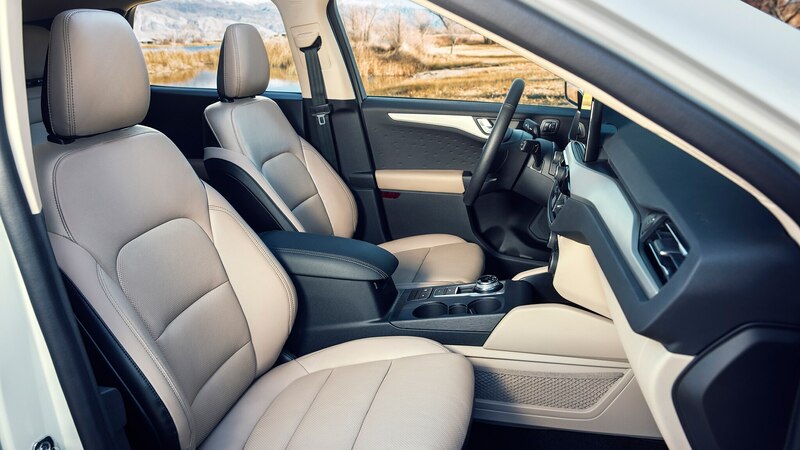 The 2020 Ford Escape’s roof is lower than before by 0.4 inch, but it seems like more given that overall length has been increased by 2.4 inches. (The wheelbase is also increased, by 0.8 inch.) 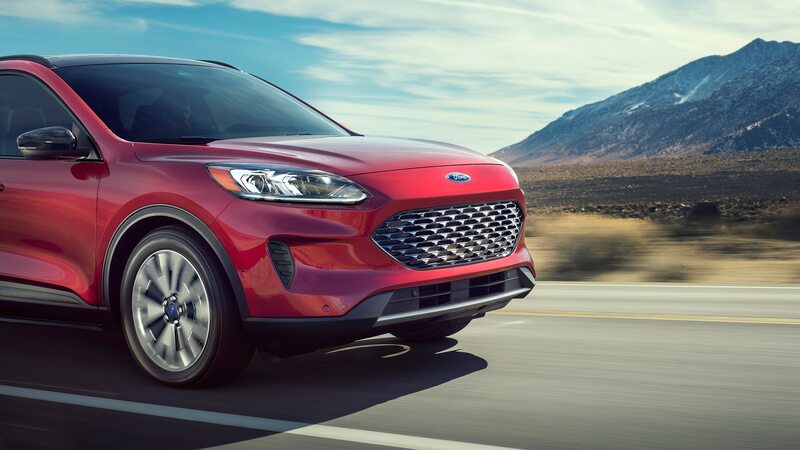 Throw in a shapelier profile and a kind of long, upright nose that helps with pedestrian-protection standards for the European model (which is badged as the Kuga), and we’re looking at a further reversal of the Blue Oval’s strategy of truckish visuals for its unibody, transverse-engine SUVs. 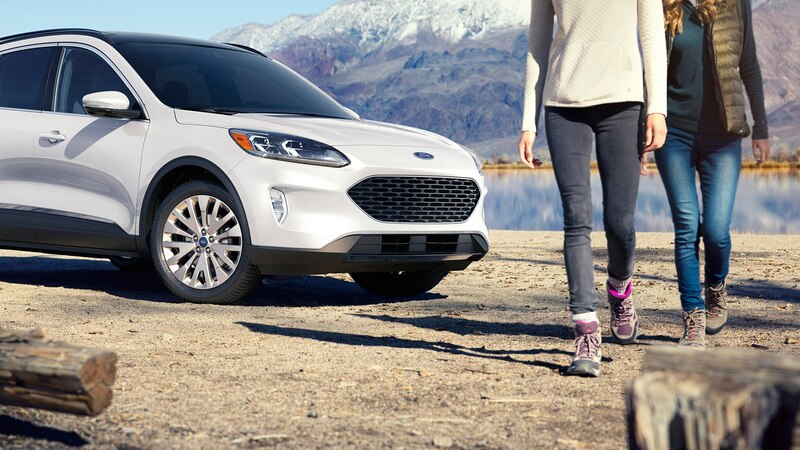 This is because Ford is splitting the target customer in two, like the latest Toyota RAV4. But instead of offering a more butch trim like the RAV4 Adventure, Ford is touting the future “baby Bronco” as its rugged off-road alternative to the Escape. Perhaps Ford is not concerned the new Escape might challenge Toyota RAV4 and Honda CR-V for top of the sales heap so long as combined sales of the two compact SUVs are strong. 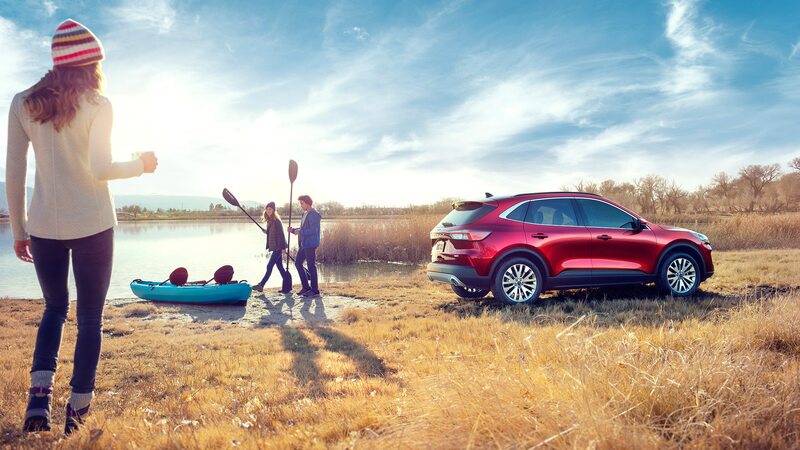 Or Ford could append the Escape name to the more Jeep-like alternative and count sales of both under one model name, as Nissan does with the Rogue and Rogue Sport. 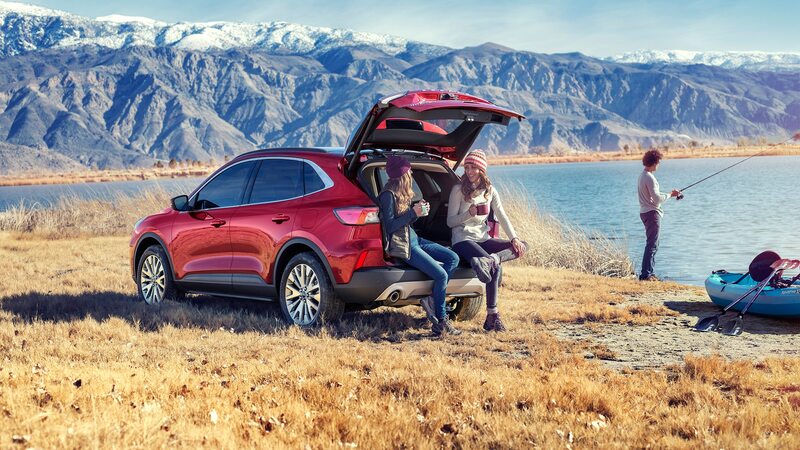 In terms of visual calling cards, design director Joel Piaskowski points to the new Escape’s tapered roofline and faster backlight, as well as the full-chrome daylight opening around the side windows of higher-trim models. The proportion of glass to sheetmetal is more balanced, he adds, with a lower beltline for better outward visibility. On the rear deck, the chrome letters that spell out “Escape” looked oversized in a teaser, but in reality, they’re sized about right. 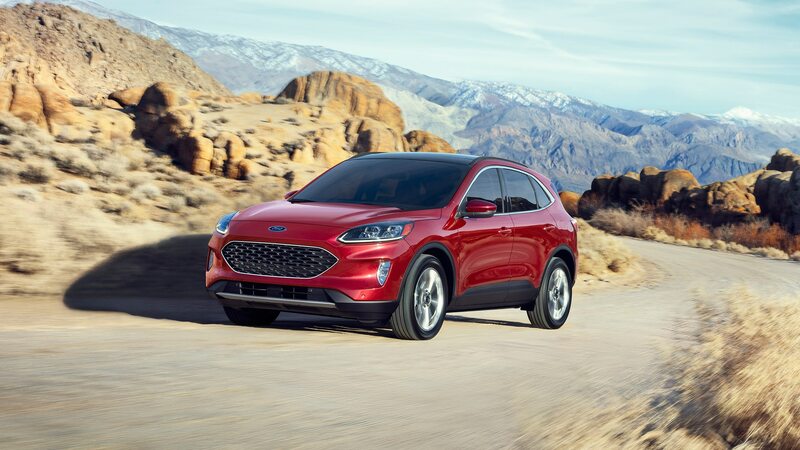 The 2020 Ford Escape goes on sale this fall with a choice of four distinct powertrains, including three engines and two hybrid-electric options. The S, SE, SE Sport, SEL, and Titanium trims carry over, with no ST announced yet (or perhaps ever). The base engine is a new version of Ford’s turbocharged three-cylinder EcoBoost engine, this one upsized by 0.5 liter to 1.5 and rated for 180 horsepower and 177 lb-ft of torque. It will be available in the S, SE, and SEL. The 1.5-liter EcoBoost becomes Ford’s first with cylinder deactivation, which in this case cuts one of the three cylinders at cruising speeds. The inline-three will come with choice of front- or all-wheel drive, with the latter able to disconnect the rear wheels for improved efficiency. The top-performing engine, which will come teamed only with the all-wheel-drive system, is a 2.0-liter EcoBoost turbocharged four-cylinder rated for an impressive 250 horsepower and 275 lb-ft. It will be optional in the SEL and standard in the Titanium. 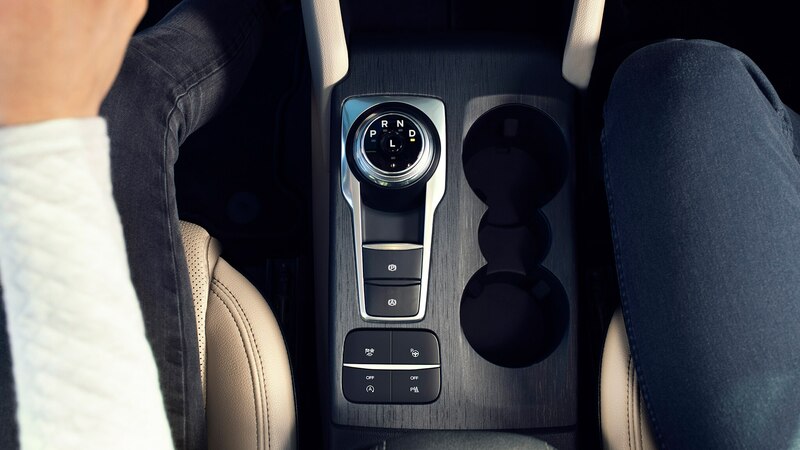 Both gas-only engines are coupled to an eight-speed automatic, and the 2.0-liter EcoBoost adds shift paddles. 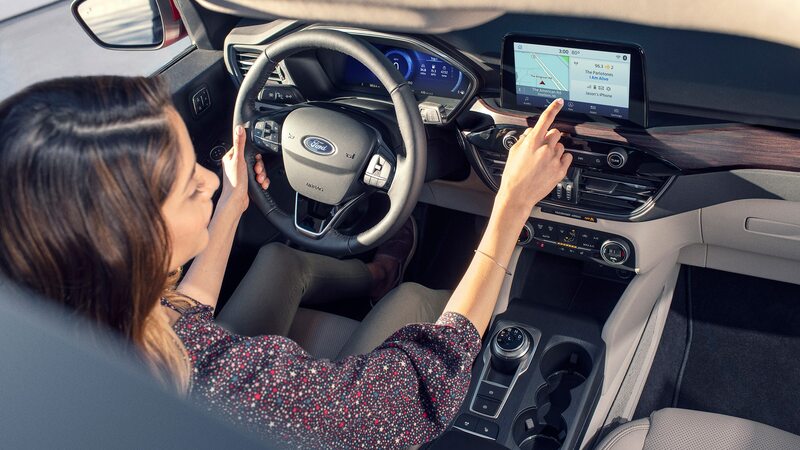 There is no button to switch between front- and all-wheel-drive models so-equipped, meaning Ford’s “intelligent” AWD is supposed to be more intelligent than the driver. 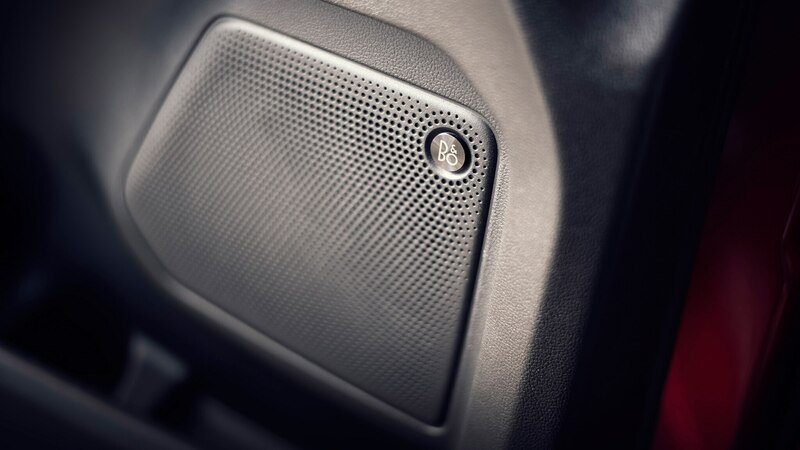 All ’20 Escapes come with five selectable drive modes: Normal, Eco, Sport, Slippery, and Snow/Sand. Wheel sizes will be 17, 18, and 19 inches. A 2.5-liter naturally aspirated Atkinson-cycle four-cylinder with full hybrid assist will be available in SE Sport and Titanium guise and with front- or all-wheel drive. It works through a continuously variable transmission. The same Atkinson cycle 2.5-liter and CVT can also be had as part of a plug-in-hybrid powertrain in SE, SEL, and Titanium trims; the pluggable Escape will be front-drive only. 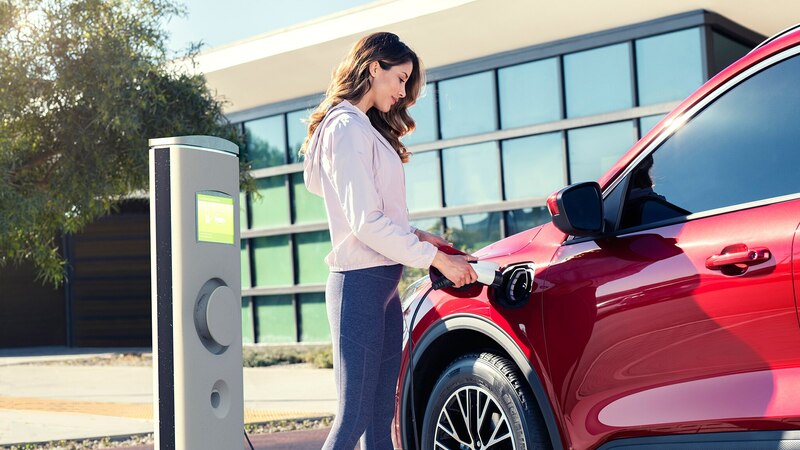 The regular hybrid is rated for 198 system horsepower and will offer a total range of up to 550 miles with front-wheel drive; the plug-in is rated for 209 total horsepower and will run up to 30 electric-only miles on a charge. Drivers will be able to reserve the PHEV’s full charge for urban traffic and can recharge the PHEV battery pack with the engine. 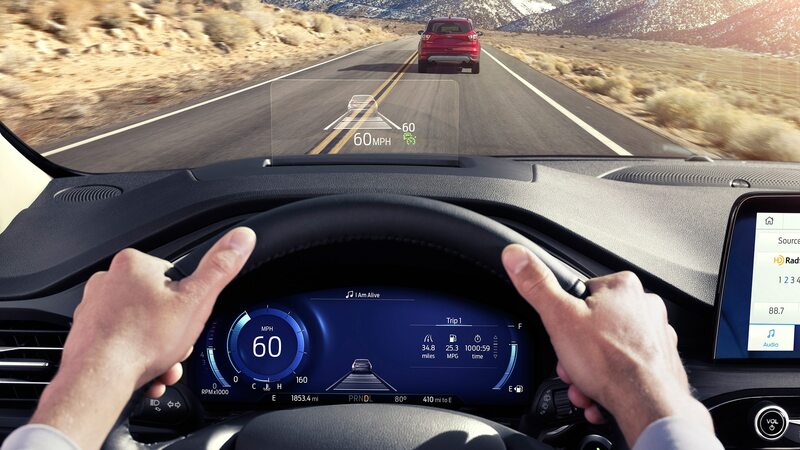 The two-motor hybrid has a 1.1-kWh lithium-ion battery pack of liquid-cooled Panasonic batteries, while the two-motor PHEV uses Samsung batteries, also liquid-cooled but able to store 14.4 kWh. 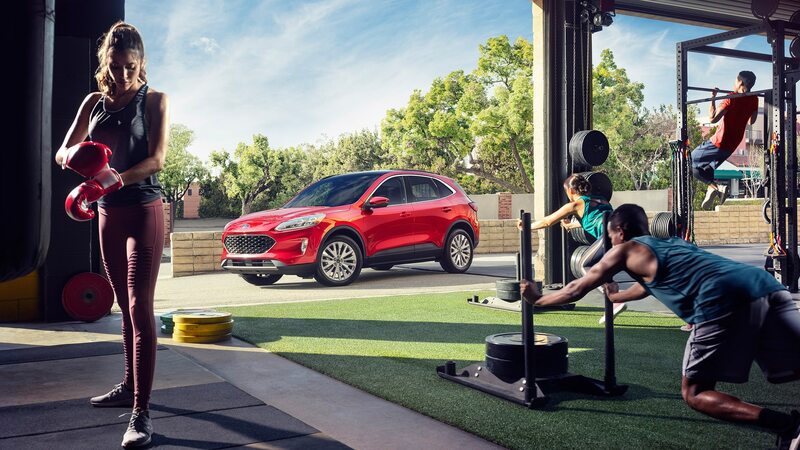 All horsepower, torque, and tow ratings are estimates, however, says Ford, and may be changed slightly before the ’20 Escape goes on sale. Those tow ratings, by the way, are an estimated 3,500 pounds for Escapes with the 2.0-liter EcoBoost; 2,000 pounds for the 1.5-liter EcoBoost; and 1,500 pounds for either hybrid. 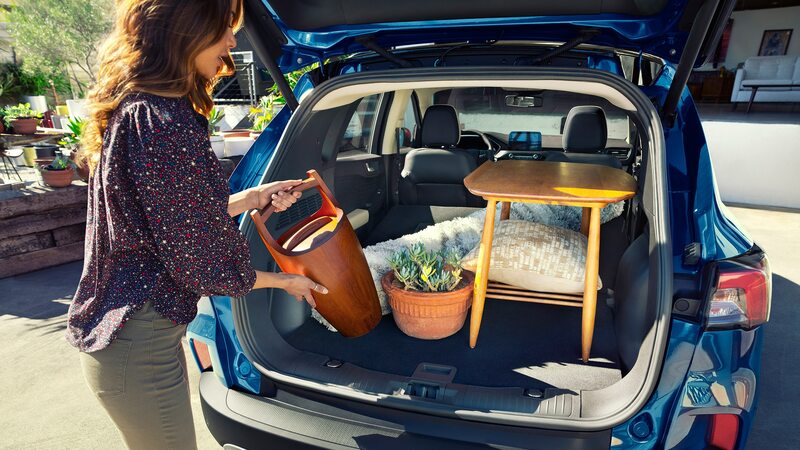 The new Ford Escape has up to 38 cubic feet of cargo space (34 for the hybrids) behind the second-row seat, which now can be adjusted about 3.5 inches by sliding it fore or aft. 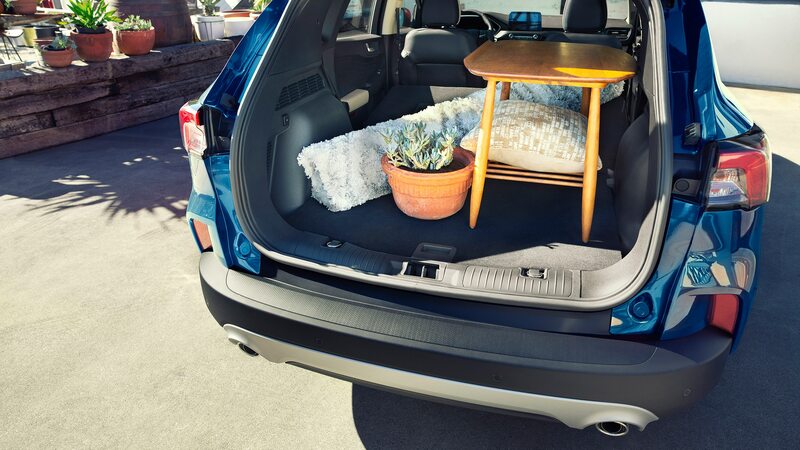 Maximum cargo space with the second row folded is 65 cubic-feet for the nonhybrids and 61 cubes for the hybrids. 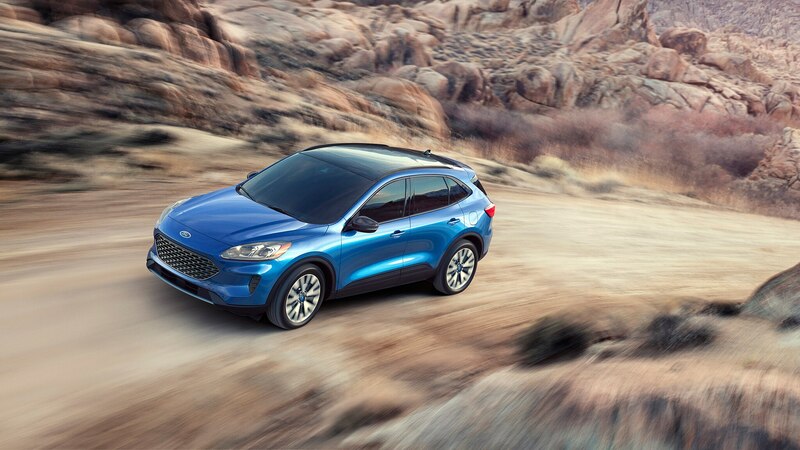 Like its styling, Ford says the 2020 Escape’s dynamics are also carlike, with a wider track, a lower center of gravity, and a 10 percent increase in chassis stiffness aiding that cause. Greater use of high-strength steel and other lightweight materials allow thinner roof pillars for greater visibility, and every variant is about 200 pounds lighter than the corresponding variant of the outgoing model, we were told. 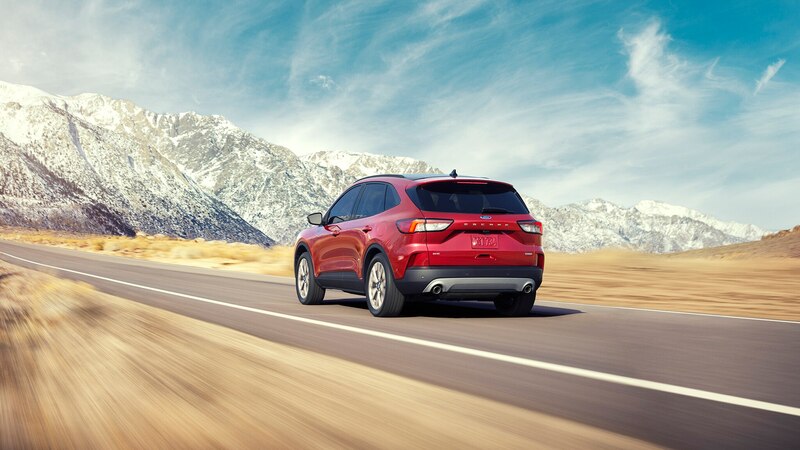 The new Escape’s zero-to-60-mph times are said to be 10 percent quicker on average, while improved aerodynamics, isolated front and rear subframes, improved door seals, acoustic laminated glass on the hybrids, and active noise cancellation contribute to reduced noise, vibration, and harshness. 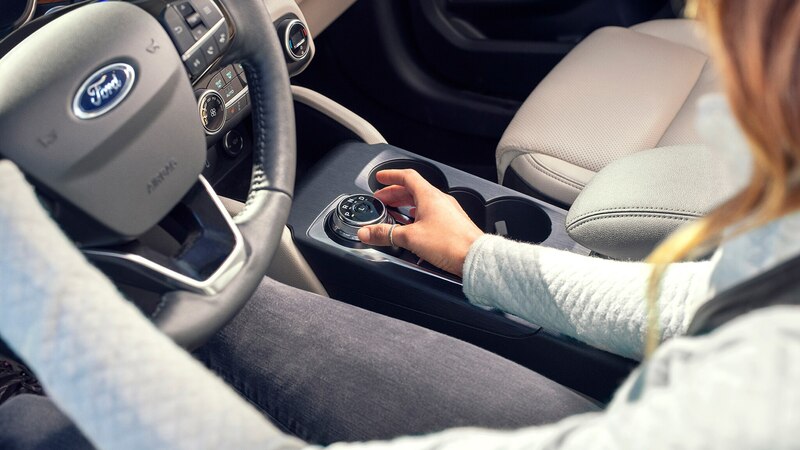 Ford’s Co-Pilot360 advanced driver-assistance systems are state of the art—not cutting edge—and include automatic high beams, blind-spot warning with cross-traffic alert, lane-keeping assist and alert, pre-collision assist with Automatic Emergency Braking, post-collision braking, and auto hold and hill-start assist. That’s all standard. 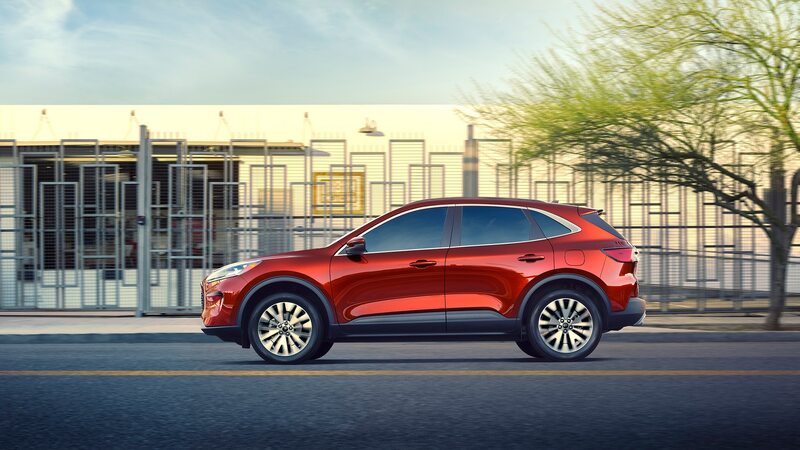 Optional or included on top-spec trims are Active Park Assist 2.0 with reverse and front parking aid, adaptive cruise control with stop-and-go and lane-centering functionality, and emergency evasive steering assist. 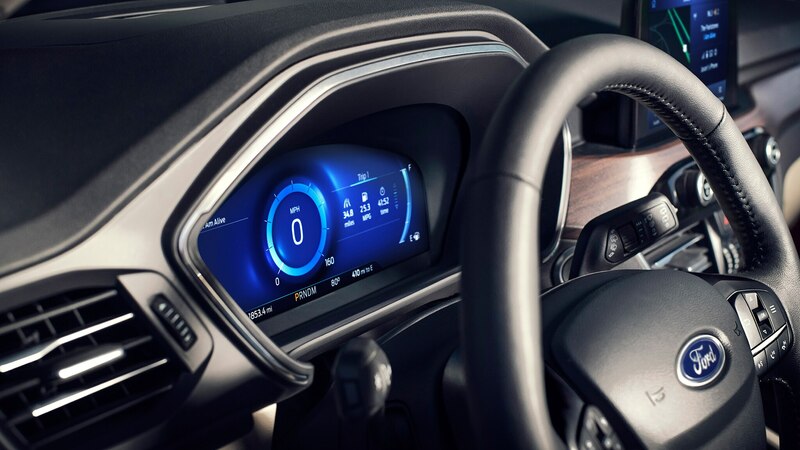 A 12.3-inch all-digital instrument cluster will be available, as will a head-up display, the latter a first for Ford in North America. There will be plenty of USB ports, off course. 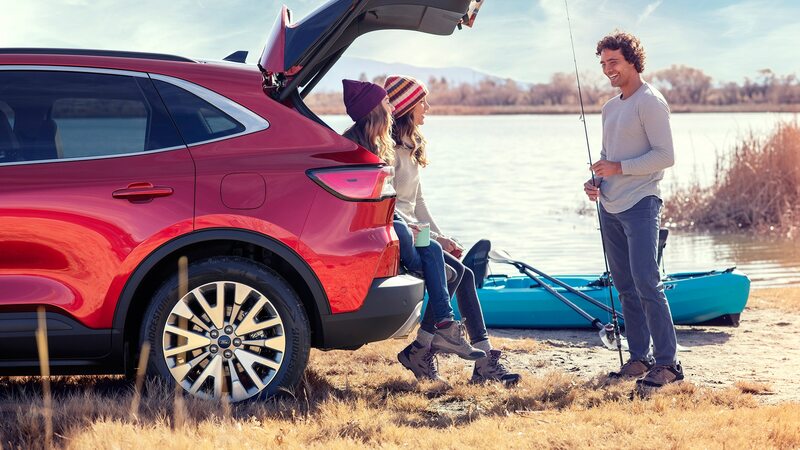 We expect to get behind the wheel of the 2020 Ford Escape for just ahead of the autumn on-sale date.